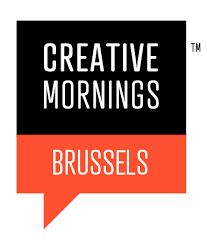 Morgenvroeg, op 15 januari, spreek ik tijdens de Creative Mornings , 8:30am – 10:00am CET. In het BeursCafé, aan de Beursschouwburg in Brussel. Het onderwerp is ‘philosophy and conversation’ (in het Engels). “Tinneke Beeckman is a multifaceted, socially engaged and independent writer and researcher. She has a PhD in moral sciences at the Free University of Brussels (ULB), followed by postgraduate studies in philosophy and culture at Free University of Brussels (VUB), and she followed courses on globalization and democratization at London School of Economics. She is a columnist for The Standard newspaper, also publishes in De Morgen, De Tijd, or NRC Handelsblad and blogs regularly. She gives lectures to a wide audience on topics related to political philosophy and society, practical philosophy and lifestyle. Tinneke worked for several years as a researcher for the Fund for Scientific Research Flanders. She is the author of ‘Through Spinoza’s lens’ (“Door Spinoza’s lens”, 2012), a book offering six different views on contemporary issues, as if seen through the perspective of the philosopher Spinoza. Its approach is open and accessible, yet philosophically challenging. Her latest book, “Power and Powerlessness” (‘Macht en Onmacht’), published in October 2015, takes a critical look at postmodern thinking, triggered by the recent Charlie Hebdo attacks in Paris. It explains the sensitivities of contemporary democracy, which evolved from the pursuit of truth and equality. Tinneke is also collaborating on several projects, such as the book “Childhood dreams” (“Kinderdromen”, 2014), where the authors start from dreams of 100 000 children, which Ketnet collected by asking “What do you want to do before you’re 12 years old?”, and discuss what those dreams tell us about our society. She teaches a class on ‘How to have better conversations’ at The School of Life Antwerp, part of the global organization started by Alain de Botton.